As a Vegetarian or Vegan, often I am asked whether I follow through with my vegetarianism lifestyle and also refrain from wearing leather products. I actually do tend to wear a lot of accessories which are made of a synthetic material and do not contain leather. I also find that it can be quite hard to find accessories such as shoes, belts, wallets, bags or watches which do not contain leather, and which I actually want to wear. Recently, I have become aware that although we have several methods of time keeping in our house such as the Ipad, the oven, the PC, and the phone, it seems that none of them actually resemble a good old fashioned analogue watch such as those available at The Watch Hut. I used to wear watches regularly, but somehow decided that watches were an unnecessary accessory. However, after the gift of a watch last year, I have come to rely on it and wonder what I would ever do without a watch again! 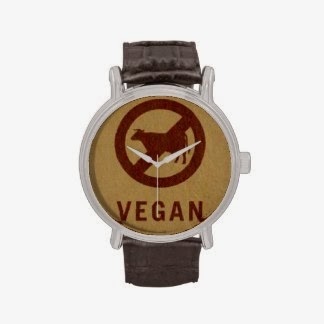 So if you are a vegetarian or a vegan, how do you choose a vegan watch? Well basically, for those not in the know, it just needs to be one which doesn't have a leather strap! It's as simple as that. When we think of vegan products, we often think of fabric watches which can be a little "out there" and un-stylish, however any watch without a leather strap could be classed as vegan, and there are loads of great watch choices out there to choose from. You could choose a strap made of aluminium, ceramic, stainless steel, titanium, sterling silver, gold, or even good old plastic. Then there is the choice of digital or analogue...you may want to keep with the digital trends, or celebrate the golden era of the analogue watch which actually requires you to use some brain power! Eldest is learning about telling the time at school, so for her and for us, it's all about the analogue at the moment. She has a little pink plastic watch which she loves. I myself have become rather attached to this Silver Accurist Ladies Bracelet Watch which is very modern and stylish. I can imagine myself wearing it - and perhaps hubby buying it for me!! I hope I have given you some inspiration for choosing a vegan watch - unlike other aspects of veganism, it's not that difficult to find a watch which fits with your lifestyle choices and your style. 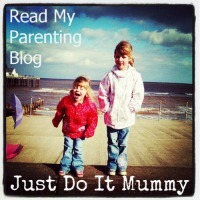 Disclosure: This is a featured post which I received payment for.